There are times when you really should slow down to enjoy those moments in life, which we miss being always so occupied with something. For us at home it is always rushed into everything, right from the moment we get up until we hit down. Even that is rushed most times. So for me, attending an event which focused on slowing down meant literally letting down my self and it was such an awesome period. For that, I have to thank Pratibha and Jigyasa, who invited me to join them in celebrating Terra Madre day. 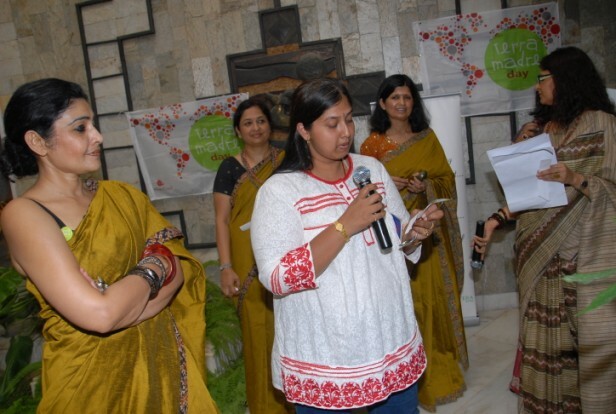 They organized an event to observe Terra Madre Day by having a A POT LUCK OF TRADITIONAL FOODS with the members of The Duchess Club, Chennai. 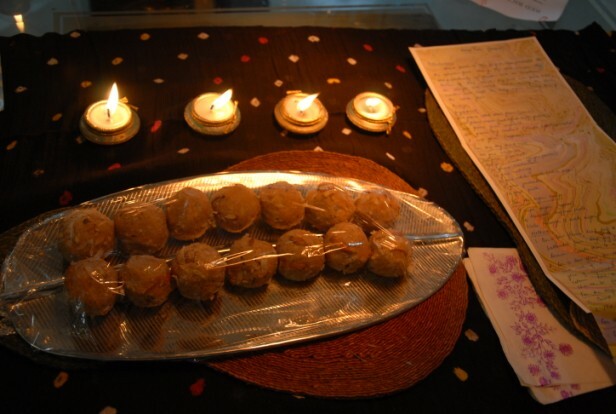 The Tarra Madre Day is conceived by Slow Food Movement started by Carlo Petrini Italy. This year more than 1000 groups & communities across the globe were participating in similar events! A much needed global resonance – each one of us needs to do our bit. I was invited to judge the food on display, along with two other noted dignitaries. It was such a honour and I didn’t want to miss the opportunity. Believe me it was so much fun and so hard to finalize on one dish as the best. Each dish was judged on Authentic, Aesthetic, Traditional touch. I was judging Snacks, Salads and Sweets. The Pledges to Save Mother Earth were truly inspiring. My Pledge was: My Mother earth – I will teach my children to enjoy nature by taking them hiking & trekking. Thank you Jigyasa & Pratibha, that was indeed perfect for me. The lovely ladies surpassed all measures by bringing in so many innovative yet traditional dishes, as few were forgotten in the main stream cuisine. 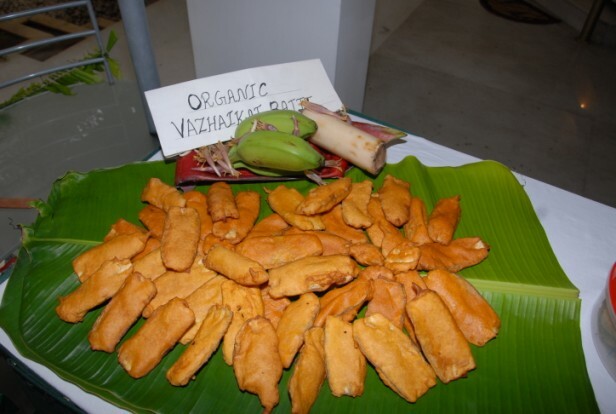 The Organic Valakkai Bajji was chosen as the best among the Snacks, other interesting dishes were Murukku with Buttermilk, Dahi Vada made with Moong dal, Sundals with Chickpea, peas relating to Marina Beach! The presentation of each participant was so meticulous and beautifully done. On the sweets front, there were so many. Finally Adad Paak, a gujarati special was chosen. I came back feeling utterly satisfied of having met a bunch of food enthusiasts. And a knowledge that I still have so much to learn! For which I am so thankful. It does look like a wonderful celebration. Thanks for sharing it with us. It is really tough to taste and select the best recipe among so many dishes presented. looks like a wonderful event with a plain good thoughts behind! wonderful! good post! Awesome Valli. Have seen the pics on FB. Lovely pics. Sounds like a wonderful event. Nice post sharing your moments with us. Simply Lovely Srivalli! I saw all the pics on P&J's facebook page! 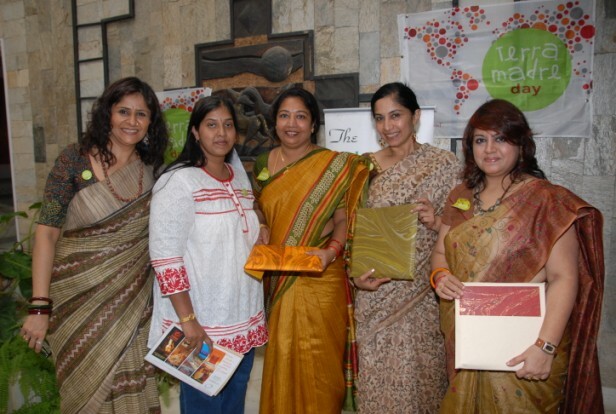 It seems all had a blast and all the recipes looks stunning:) you too look lovely! Lovely function and lucky you! Dear Valli, A pleasure having you with us. Glad you made it. Your enthusiasm and excitement at the event filled us with smiles. Cant forget how you meticulously went about judging the dishes for the best! We must all get together & do something even more substantial. wow,..must have been fun,..thnks for sharing,. Glad for you to have witnessed and equally happy to have been able to have a virtual tour! That is a nice event… Must have been wonderful participating and a mighty tough job picking the best dish among all the delicious dishes! Thanks for sharing! that sound like a fun event..thanks for sharing..
awesome recipie & dishes,wow,it so yummy,thanx to share with us. It must have been wonderful to taste somthin which you didn't make your self. Your choice of winner sweet is now on our blog too :).